Muslims convicted in America of supporting terrorist groups are heroes and the victims of injustice, a national convention of Palestinian activists was told. In addition, speakers said the fight for a Palestinian state will center on American college campuses. Sami Al-Arian, a former University of South Florida professor, pled guilty in 2006 to providing goods and services to the terrorist organization Palestinian Islamic Jihad. Abdelhaleem Ashqar has been accused of racketeering for his alleged support for Hamas. He was acquitted by a jury on these charges in February 2007, but was sentenced to 11 years in prison for criminal contempt and obstruction of justice after refusing to testify before a federal grand jury investigating Hamas support in the United States. Co-conspirator Muhammad Salah was a member of Hamas and indicted for providing material support and resources to Hamas. In July 2007 he was sentenced to 21 months in prison. 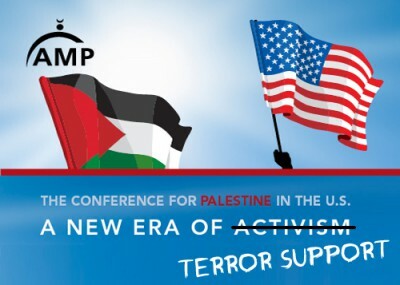 Taher Herzallah, the national campus coordinator of AMP and a member of the University of California, Riverside SJP, shared his experiences as a convicted "Irvine 11" student during the conference session "Criminalizing Palestine in the United States." Ten pro-Palestinian students were convicted in September on charges relating to an organized series of disruptions during a February 2010 speech by Israeli Ambassador Michael Oren at the University of California, Irvine. "Every time they make a move, we become more determined enemies," Herzallah said. Perhaps that's true today. But in doing so, AMP follows in the footsteps of the groups linked to terrorism that it defended during the conference. IAP, HLF and even Al-Arian's organization were all shown to be carrying "the banner of Islam" in their quest to replace Israel with a Palestinian state. No more American money leaves America for foreign countries.